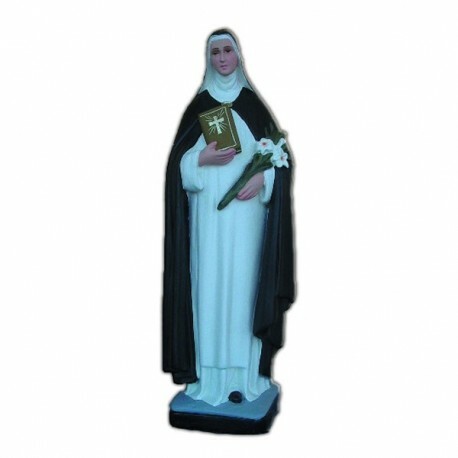 Statue of St. Catherine of 40 cm. 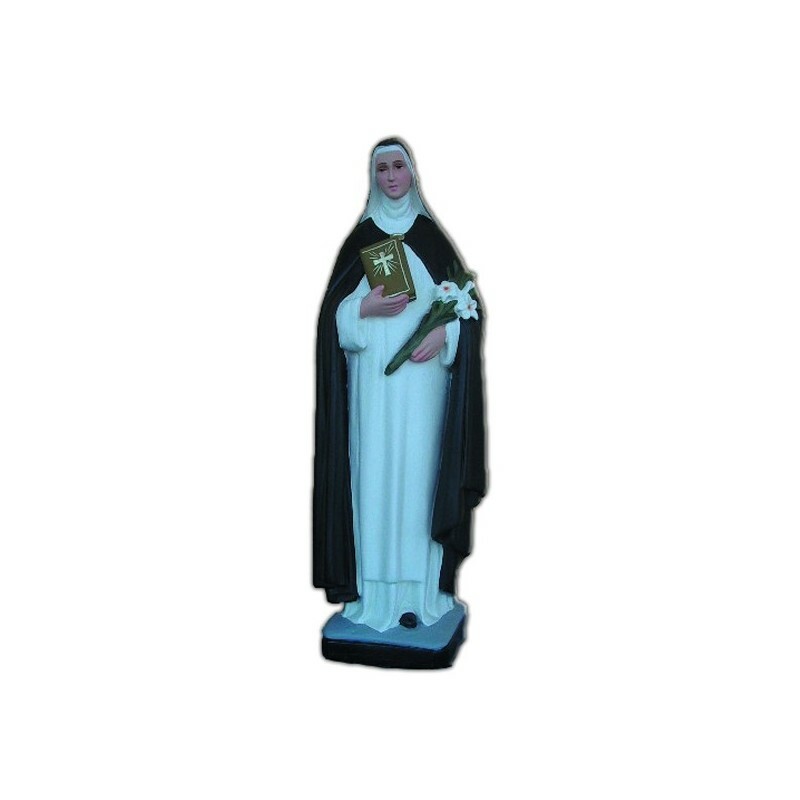 Saint Catherine of Siena, doctor of the Church, is commemorated on the 29th of April. She was born in 1347 to a cloth dyer. She lived in Siena and, when she was 16 years old, she received the clothing of the Third Order of Saint Dominic. She worked between the poors of her town, trying to convert the more calloused sinners. She had close to the unity and the affection of the Curch’s hearth, she contributed to persuade Pope Gregory XI to abandon Avignon and to return to Rome. She tried also to heal the problems of the Western Scism, gathering Italy around Pope Urban VI. In 1378 she was called to Rome by the Pope and there she died, fighting right to the end for the cause of the real Pope. She left 400 letters and a “Dialogue”, which is one of the major mistic works. In 1461 she was canonized, in 1939 she was proclaimed Patron Saint of Italy and on the 4th of October 1970 Pope Paul VI declared her a Doctor of the Church. She is illustrated in the Dominican clothing, with a hearth or a book. Baroque chair of walnut or gold dye.